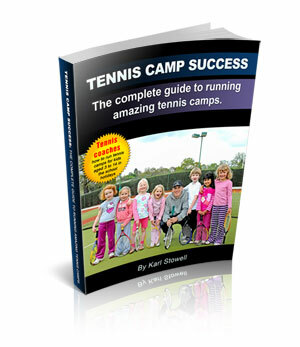 Would you like to run tennis camps which are successful and profitable? My name is Karl Stowell. Over the years I’ve done every type of coaching, from very young children to adults, beginners to performance players. I’ve coached big groups, mixed ability groups and coached at schools. But most of all, I’ve run successful tennis camps. The best structure for your tennis camp in terms of dates, timings, prices etc. Yes I'd really like to purchase Tennis Camp Success, so count me in!